The world's first and last "anti-armor pistol". It was developed by the German army during WW2, and was introduced to the Germans in 1941. 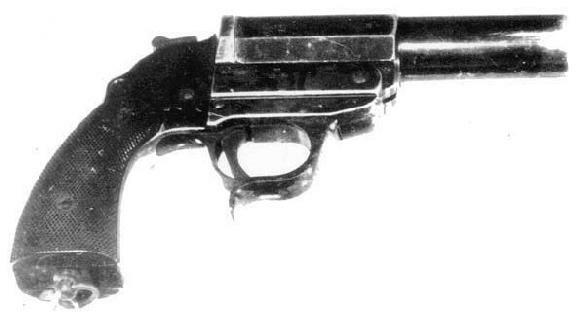 Even though very innovative, it was inaccurate and the Kampfpistole rounds lacked explosives to put down the enemy armours.